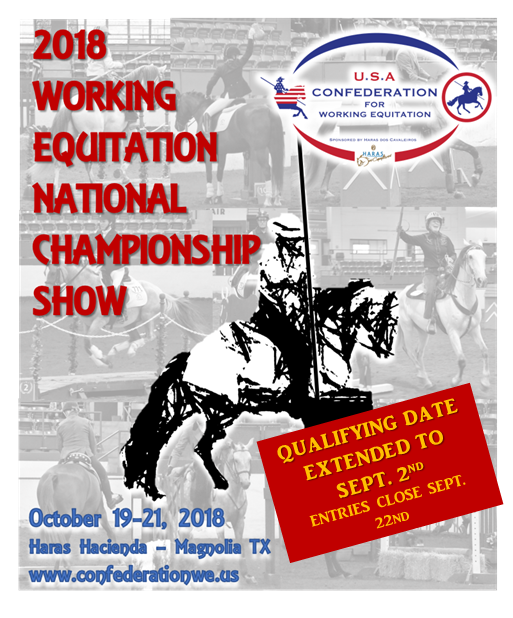 The last possible date to qualify for our first National Championship show has been EXTENDED to September 2nd to allow that weekend to schedule more Licensed shows! Entries open July 1st - Entries close September 22. Looking forward to see all of you at Haras Hacienda, October 19-21, for a spectacular Championship!